The duck was pretty good and tasty. The standout dish was the Crayfish and Prawn Tortellloni - recommended! Hi rjn21. Thanks for posting, unluckily you were beaten to the post by BotB by a matter of a few hours, he sent a photo to me this afternoon. 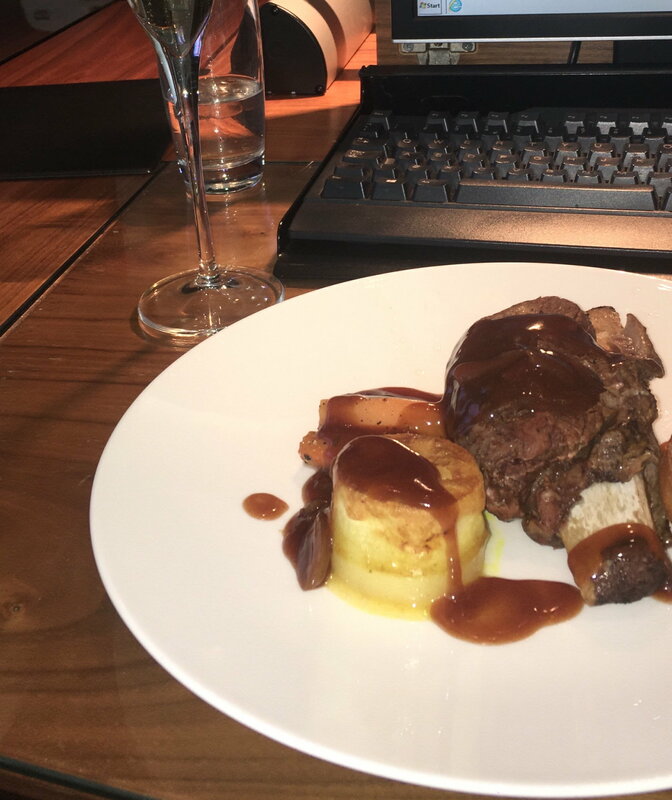 I was slightly more positive than Traveller Frequently in that I thought all four dishes were pretty good - certainly better than some of the 'posher' CCR dishes I've tried before. The mezze and charcuterie, while fairly simple, were more impressive than they sounded on the menu. The negative was that the kitchen was unable to serve as a platter for three rather than one dish per person. That kind of thing shows that the CCR is really not a restaurant. The duck I thought was very well executed - again a classic dish done well rather than trying to over-complicated things. The standouts for me were the desserts. 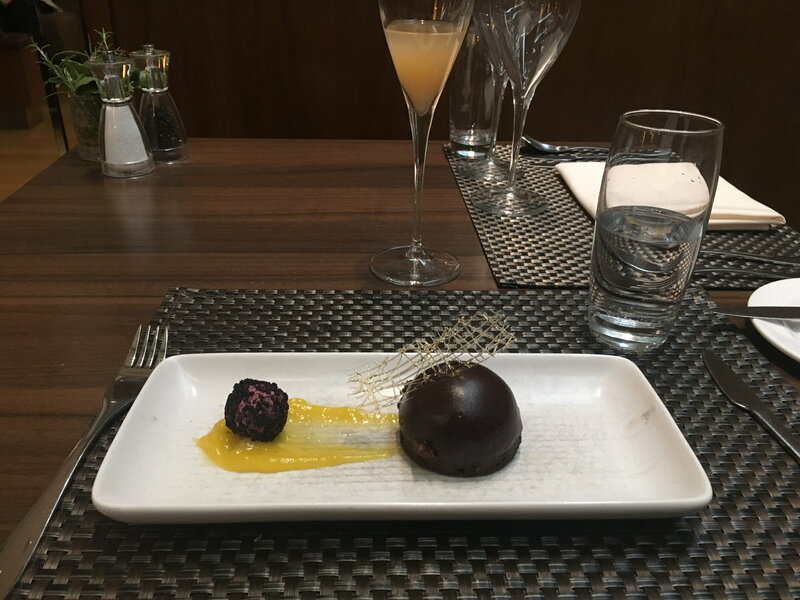 I had both the apple parfait and the chocolate dome (not a bombe) - both were delicious. Overall, a very pleasant meal. Some good points, Ldnn1, in particular how the kitchen was not able to work out how to serve three starters as we had requested. Strange, as we had ordered a salmon eggs benedict instead of with ham, which was no problem when we had brunch. The duck was good and might have been even better if I had remembered to add the port wine jus before we had nearly finished it! I seem to remember you enjoyed the tortelloni too! I am back at the CCR on Wednesday for a extended visit so will certainly order the duck or tortelloni again and save some room for the chocolate dome! Sunday Roast. Better than expected and very tender. Slightly overcooked. Had the duck which I found particularly good. The tomato soup (of the day) was, well, tomato soup. Nothing special. The mezze was alright, but they did not give me the beetroot but twice the other one (which I have forgotten what was) instead. No it was we who were cutting back - in fat content! I believe the issue here is that there is a bit more attention given to stopping people from doubling up, so meals have to be put in individually, rather than bulked (which you used to be able to do). Substitutions, on the other hand, are fine if doeable. I remember when the scallop app was added to the menu a little under a year ago, being able to order two on a plate; then, it was "want two scallops, get two plates". The idea being presumably that some will not bother. Borisz (chief bar dude at the time) was apologetic, but had to do it this way. Didn't put me off, but I am sure stopped some. Clearly much easier to do this than substitute ingredients; that can get quite messy if you don't know what you're doing. But maybe has become a policy. Ldnn1, ConfusedByBAEC, Reemondo and 1 others like this. It’s not a great photo. It’s missing the gravy, and they were also out of broccoli yesterday. I thought the same. 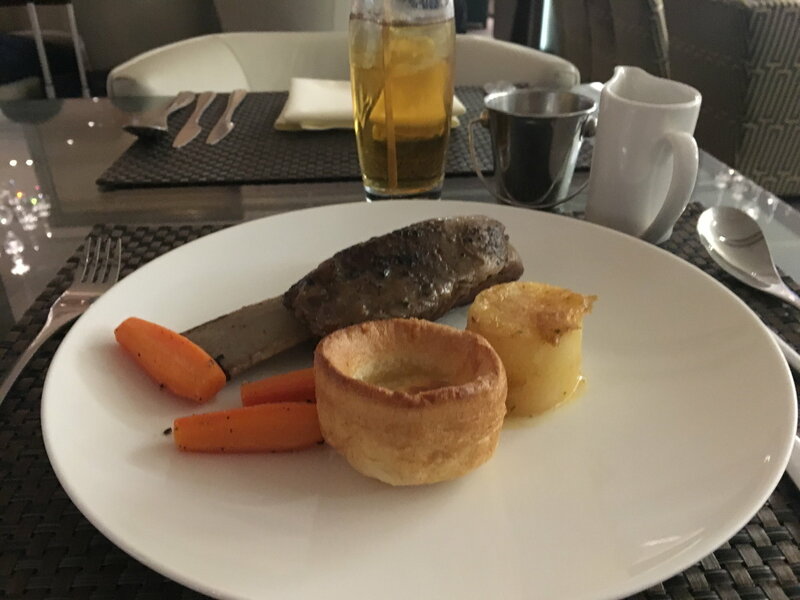 A fondant potato, three carrots, a Yorkshire pudding and sad bit of beef is the trumpeted CCR Sunday roast? No gravy? Sacrilege, surely? Minimalism of the mezze carried through to the main course. The gravy comes in a little pot so you can pour it yourself. As I said previously, there was a shortage of broccoli yesterday. As for the comment about the meat, then I suggest you try it. As we all know, CCRbportions are relatively small, but there is nothing stopping you from having a second portion or another dish. I do agree it’s not the best picture. Didn’t have this thread in mind when I took it and my OH keeps telling me to take a photography course, which is probably true. Gravy was on the side as stated above. It was pretty basic though. The picture posted by madfish does look better than the dish I got. First time in the CCR so did not know what to expect. Still thought the food was better than in the CX F lounge in T3 though.